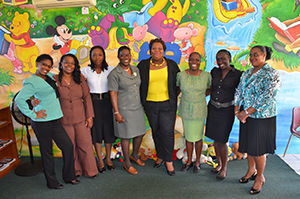 The Ministry and Department of Education through the Nevis School Librarians join with librarians all over the world to celebrate International School library Month during the month of October 2014. The theme for this year’s celebration is: “Your school Library: Mind-Map central.” Embedded in this year’s theme is the importance of the school library not only in education but in helping our children navigate the information superhighway on which they must travel. Recognizing this therefore, the school librarians will be hosting various activities in their libraries with a view to promote awareness of the: importance of the school library; reading and reading activities; and proper use of information. Also part of this year’s celebration will be our Blanket Night Activity. Blanket night is a reading activity targeting families with pre and lower primary school aged children. Families will gather at ETW Park on Saturday 8th November at 6:30pm to participate in story time, singing and other fun games and activities. Parents will also be provided with information on how to improve their family reading time at home. It is our hope that blanket night will provide a fun, relaxed, interactive environment for family reading as well as provide the impetus for parents reading to their children at home. I would like to wish all the school librarians a HAPPY SCHOOL LIBRARY MONTH and encourage all students, teachers and parents to visit and support your school library especially during the month of October – School Library Month.